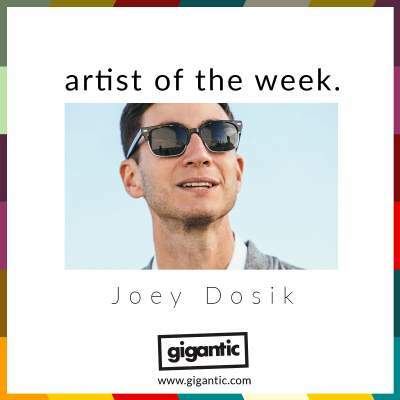 Joey Dosik is a leading light in the Los Angeles funk and soul scene which is currently enjoying a resurgence right now. Having a spent his whole life either practising, playing with premier Michigan funk band Vulfpeck or shooting some hoops, it’s no wonder that Grammy Award-winning living legend Quincy Jones has named Dosik as a star in the making. Dosik combined his passions for both sport and music which he poured into what became the ‘Game Winner’ EP, written whilst recovering from an injury sustained playing basketball and released on Secretly Canadian last year. Though largely short instrumental tracks, the ten songs serve as the perfect introduction to his dreamy visions of romance intertwined with metaphors of athletic triumphs, applying a minimal approach to song writing which really allows his sugary sweet vocals to shine through on the tracks where it does feature, such as on his huge single ‘Running Away’. Drawing on the talents of drummer James Gadson (Bill Withers, Quincy Jones) and guitarist David T. Walker (Stevie Wonder, Marvin Gaye), ‘Game Winner’ draws heavy influence from classic 70’s soul and executes it perfectly for a flawless victory. ‘Game Winner’ earned Dosik a live performance on the hit TV show Jimmy Kimmel Live! which perfectly placed him to reach right across America as he prepared to release debut album ‘Inside Voice’. Taking a similar approach to his initial EP – Dosik continues to keep his music sparse on the ‘Inside Voice’ LP, realising that true heart comes from a well-crafted melody. A skill that may be lost when so many options are now open to musicians in even the most basic home studio. Conversely, his stripped-down style allows for rich and expressive vocal harmonies to create gorgeous songs that feel like they have come from a previously undiscovered hidden treasure trove of classic soul, as heard on the initial title track, ‘Don’t Want It To Be Over To Be Over’ which sees him duet with L.A. songstress Coco O. and the loved-up number ‘Take Mine’. See Joey Dosik take centre court this month, playing gigs over here in the UK at Manchester and London next week. We only have limited amounts left, so make sure you steal yours before timeout. Joey Dosik tickets are currently available.